This table really puts a spin on the traditional toddler activity table. (Get it? Spin?) 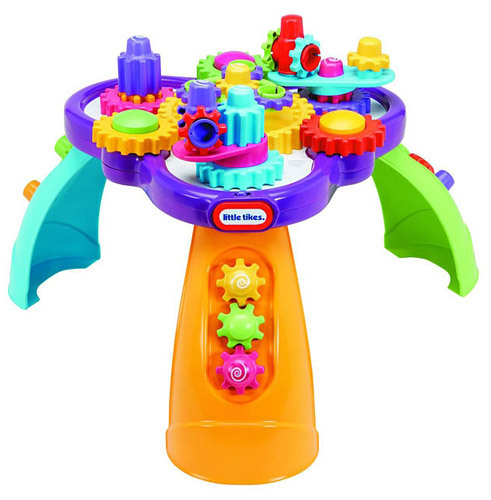 The colourful gears can be removed, stacked and spun by little hands. Add music and lights with the push of a button.